Pixar's Coco Announces Its New Voice Cast and It's Impressive!! Pixar’s Coco Announces Its New Voice Cast and It’s Impressive!! With movies like “Toy Story,” “Up,” and “Wall-E,” Pixar has certainly made a name for itself as the leading voice of animation. The movie studio’s upcoming “Coco” is positioned to be a new classic from Pixar. ANTHONY GONZALEZ (“Ice Box,” TNT’s “The Last Ship”) lends his voice to MIGUEL, a 12-year-old aspiring musician who struggles against his family’s generations-old ban on music. When a magical mishap lands him in the Land of the Dead, Miguel seeks out his idol, Ernesto de la Cruz, to help him return to the Land of the Living before it’s too late. RENÉE VICTOR (“Weeds,” “The Apostle”) provides the authoritative voice of ABUELITA, Miguel’s grandmother and the ultimate enforcer of the Rivera family’s ban on music. She loves her family very much and will do anything to protect them. But when she gets angry, she wields a mean slipper. JAIME CAMIL (CW’s “Jane the Virgin,” Disney Junior’s “Elena of Avalor,” “Secret Lives of Pets”) is the voice of PAPÁ, Miguel’s supportive father who hopes that someday Miguel will join him in the family shoemaking business. SOFÍA ESPINOSA (“Gloria”) provides the voice of Miguel’s loving MAMÁ who gently encourages her son to embrace their family’s traditions. BENJAMIN BRATT (FOX’s “Star,” “Doctor Strange”) is the voice of Miguel’s idol ERNESTO DE LA CRUZ, the most famous musician in the history of Mexico. Revered by fans worldwide until his untimely death, the charming and charismatic musician is even more beloved in the Land of the Dead. SELENE LUNA (“My Bloody Valentine,” “Celebrity Wife Swap”) voices TÍA ROSITA, Miguel’s late aunt who resides in the Land of the Dead. ALFONSO ARAU (“Three Amigos,” director/producer “Like Water for Chocolate,” director “A Walk in the Clouds”) is the voice of PAPÁ JULIO, Miguel’s late great-grandfather who he meets in Land of the Dead. HERBERT SIGUENZA (“Larry Crowne,” “Ben 10: Alien Swarm”) lends his voice to both TÍO OSCAR and TÍO FELIPE, Miguel’s late identical twin uncles who he meets in the Land of the Dead. CHEECH MARIN (“Cars 3,” “Tin Cup,” CBS’ “Nash Bridges”) is the voice of a CORRECTIONS OFFICER in the Land of the Dead. Which voice actor is your favorite? Despite his family’s generation-old ban on music, Miguel (Anthony Gonzalez) dreams of becoming an accomplished musician like his idol Ernesto de la Cruz (Benjamin Bratt). Desperate to prove his talent, Miguel finds himself in the Land of the Dead. Along the way, he meets charming trickster Hector (Gael García Bernal) and together they set off on an extraordinary journey to unlock the real story behind Miguel’s family history. 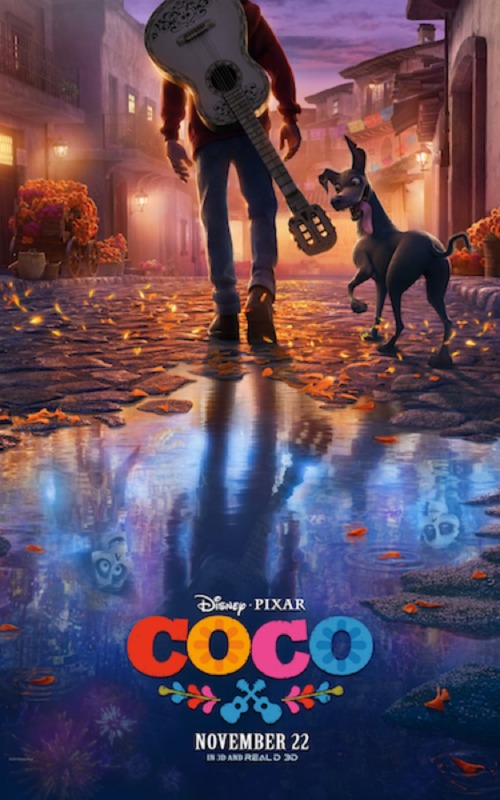 The new animated movie from Pixar and Disney stars Anthony Gonzalez, Gael García Bernal, Benjamin Bratt, Renée Victor, and Ana Ofelia Murguia.